Tony LE KIM THUAN was born in August 19th 1945, and immigrated to United States on December 15th 1980. He attainted at School of Electrical Engineering Technologies of Texas Tech University, Lubbock, Texas and minor in physic photography since in 1981. He moved to Irvine, California in 1985 after finished schooling for his first job as a production management position for a computer manufacturing company. In addition, he owned a sub-contract computer factory DNT Technology Inc., Best Color Studio and Finishing Lab. Furthermore, His partnership has risen with small photographic businesses which gave him the opportunity to meet many devoted amateur and professional photographers. Nearly over four (4) decades, his passion for photography in fine arts has become his lifelong hobby. Therefore, he had formed a “Group of Amateur Photographers” on August 19th 1985 in Garden Grove, California, United States. Within the four (4) years period, his artistic work gained respect from several well-known photographers, also obtained photographic distinctions from the world well-known photographic organizations. His leadership charisma and artistic abilities allowed him to develop friendships and connections with Henry Mass FPSA HonEFIAP, Photographic Society of America; Amanda Navile FRPS, Royal Photographic Society of Great Britain; Wellington Lee HonFPSA HonEFIAP HonFRPS, Photographic Society of New York; Sylvia Mass FPSA ESFIAP, Colorama Slides Club of New York; C. Rajagopal HonPSA FPSA HonEFIAP, Asia Continental Representative FIAP; Sylvia and Henry Mass FPSA’s, Photographic Alliance USA Representative FIAP in United States, Dr. Gregory Tansiongkun FPSA EPSA, PSA International Affairs Committee, and Sidney B. Goldstein FPSA, Photographic Society of Long Island New York. Their collaboration assisted him with photographic information from PSA, RPS, PSNY, PSLI, and INDIA in order to combine studied and developed successful photographic organization. Tony LE KIM THUAN President with honorary patron and subordinate by Wellington Lee, Henry Mass, Sylvia Mass, Dr. Gregory Tansiongkun, C. Rajagopal, Sidney B. Goldstein. The elder Chinese-Vietnamese photographers: Lee Lan Sieu and Vietnamese grand master Phan Van Mui were invited to participate as advisors for Asian-American. 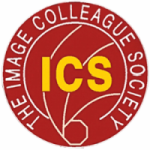 ICS registered to become affiliate member of Photographic Society of America, since the date of August 1st 1989. The Image Colleague Society and Tony LE KIM THUAN received guidance and advisory from Wellington Lee, Photographic Society of New York; Henry Mass, Photographic Alliance USA; and C. Rajagopal, Asia Continental Representative FIAP for express active society purpose which launches its recognition of ICS photographic service and proficiency honors/distinction to international and domestic membership and clubs affiliate. Soon after, Herb Gustafson Hon.PSA FPSA, Dr. Louis F. Romain FPSA, former PSA Vice President and Jan Jansen MFIAP HonEFIAP, former General Secretary FIAP were invited to participate as ICS advisors and judges for ICS international exhibitions. Soon, Tony LE KIM THUAN was nominated and appointed as an overseas honorary life representative of photographic society of New York, pacific vice president of photographic alliance USA and Colorama, New York. Eight years later Mr. Jacky Martin HonEFIAP FIAP vice president, member of FIAP board of directors representing FIAP visit ICS in Garden Grove, California USA where the first meeting held between FIAP and ICS on August 21st 1998 for FIAP promotion and development the art photography in US. On December 16th 2000, Tony LE KIM THUAN was duly elected and appointed as an official FIAP liaison officer in United States by Mr. Emile Wandersheid HonEFIAP EFIAP, president of Federation Internationale de l’Art Photographique. Currently, the Image Colleague Society have active branches and honorary overseas representatives in Virginia, Oregon, San Jose, New York, New Jersey, Houston, Texas, California of United States, and Malaysia, Kalkota India, Bangalore India, Western India, Eastern India, Pakistan, Saudi Arabia, UAE, Romania, Australia, Brazil, Sri Lanka, Sweden, Cyprus, Singapore, Bangladesh, Viet Nam, etc.